The easiest dairy-free eggnog recipe is right here (you’re welcome): Simply mix almond milk, light coconut milk, maple syrup, and spices in a saucepan, then reduce until slightly thickened. Chocolate Satin Eggnog Milkshake with Reddi Whip Topping. Make with Marie Callender Chocolate Satin Pie, Reddi Whip Eggnog and Vanilla Ice Cream. 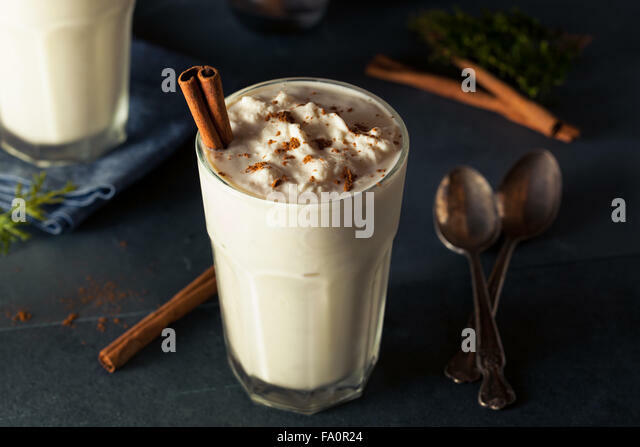 The eggnog milkshake is made by Sugar and Plumm's executive pastry chef, Pichet Ong.